We understand that future sales are predicated upon happy customers with good outcomes. When we refer to design, we are talking not only about style but rather, an approach to layout and assembling all components in such a way that we eliminate errors, conflicts, cost overruns and delays. We are members in good standing with the National Kitchen & Bath Association and are familiar with their design standards. Our internal Project Management system creates a framework for orderly and accurate procurement, storage and delivery of job components. All components are unwrapped, measured, checked for damage, counted and safely stored at our facility until needed. This is a very unusual and time consuming service but one from which our customers gain tremendous benefit…in this way their space is not demolished until we have all necessary components in hand and the job can flow continuously without interruption. Partnering with a firm who is well established in the community and has access to an abundance of resources has tremendous value for our customers; it allows us to access services from the best local sources in a timely manner. As a full service firm, we guide our customers to suppliers and allied professionals with whom we have well established relationships. Consistent collaboration with these firms provides a predictable and more seamless process on our jobs and that is of paramount importance for the customer who is living through a kitchen remodel. Our investment in technology increases the accuracy of our designs and ensures clear communication. Our CAD programs allow the customer to view extremely detailed plans and elevations before committing to a design. Additional services such as the loaning and delivery of storage boxes and the set-up and break-down of a temporary kitchen reduces the inconvenience that is experienced by customers during the remodeling process. Hopefully, this description of our philosophy, procedures and services broadens your understanding of what Town & Country Kitchens brings to each project it undertakes. If we seem like a good “fit” for you, please let us hear from you! House Doctors is the professional home improvement and repair service you can trust. We provide the highest level of professional workmanship, that's why all of our technicians are screened, licensed and insured. Our uniformed technicians will show up on time and complete your projects to your satisfaction, providing you with the kind of reliability, quality and service you deserve. Our mission is to make home repair and improvements easier for you. We promise to treat your home like it's our own. You can trust House Doctors to take care of all of your home improvement needs. Our goal is for complete customer satisfaction on every job, that's why our labor is GUARANTEED for one full year. Give us a call today to help you transform your home into the one you've always desired! Fine Finish was born in 2005 as is a full service customer oriented construction company. We provide home owners with repairs, remodels and rebuilding services in the residential market. Our specialty is bathroom and interior remodels. Fine Finish is located in Raleigh, NC and serves the Raleigh/Cary area. Wood Products, Inc. was founded in 1977 to specialize in high quality custom residential cabinetry and millwork. Our services include design, manufacturing, and installation of all our products. 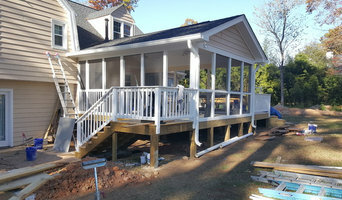 Chapel Hill Construction is a full service construction company that prides ourselves in meeting all your home construction and remodeling needs. Our focus is in the details of your home project. We can improve the curb appeal of your home while enhancing your investment. The best customer service is always our priority and e-mail updates keep you informed on your project's progress. Take a few minutes to review our many projects. Contact us and let us know how we can help with your next home project. Call us today, estimates are always free, and often can be given on our first visit. Express Baths by A&D Contracting, Inc.
A beautiful, new custom bathroom doesn’t have to be an expensive disaster. Express Baths of Raleigh provides high quality, stress free bathroom remodeling that is affordable and flexible to your budget and style needs. Express Bath’s skilled bathroom contractor starts by listening to your needs and wants, then works with you right in your home using our interactive custom bathroom design tool that allows you to pick from thousands of bathroom improvement products… from low budget right up to high end design options, you choose the custom bathroom design solution that suits you, your home size, and your design style. Express Baths will complete the work efficiently and professionally using only the highest quality top brand bath products, and Express Baths of Raleigh guarantees the workmanship too. Our goal is your complete satisfaction with your bathroom remodel or custom designed bathroom and we will earn your trust, respect and referrals. CORE Remodeling is a family-owned-and-operated general contractor company specializing in residential remodeling and renovations. For the past decade we have provided turnkey design and build services to homeowners throughout the metropolitan Raleigh area including Cary, Apex, Holly Springs, Raleigh, Durham, Chapel Hill and surrounding locales. Having our home operation based in Apex allows us to efficiently cover a large area of the Triangle. The story of Borges Construction Company is really the story of its founder and president, Dayan ("Dan") Borges, who created the company in 2003. With his easy Michigan accent and confident smile, you might never guess the harsh circumstances of his early life, or the experiences that give him his powerful commitment to quality, honesty and reliability. Indeed, the creation of Borges Construction is the final chapter in a true American success story. Born in Havana, Cuba in 1977, Dayan was only three when he fled with his brother, father and mother on the Mariel Boat Lift. Although an entrepreneurial family, they had suffered terribly under Castro's repressive regime, and the family arrived in America with less than the equivalent of $50 in assets. Dayan's parents were powerful role models for him, teaching him both the value of his word and the value of hard and honest work. His friendliness and honesty make him an easy match with the best of North Carolina. It was a long and winding route, but Dayan is very happy and proud to call North Carolina his new home. 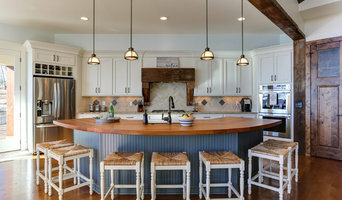 "Champion Design and Build Inc is a 30 year old business based in North Carolina, with extensive experience in Kitchen & Bath Remodeling and Home Renovations. 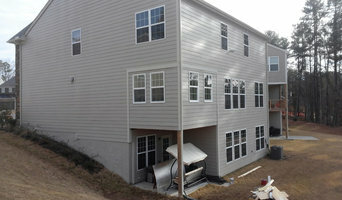 From Kitchens, Garages, Roofing, and Siding, We give you the complete Renovation Package including all the Sub Trade. We are a dealer for Master Brand Cabinets a leader in the cabinet industry offering a vast selection of wood species as well as door styles to fit any taste or situation: From cherry maple oak with whiskey glaze to a painted finish with amaretto glaze, from natural the lightest finish to chocolate the darkest. Our selection is so large that we are able to fit any budget. We employ our State of the Art Cabinet Software to Design You the best looking and most functional Kitchen/Bath on the market. " We specialize in all phases of kitchen improvements from restoration to remodeling. Rodney Joyner’s resume includes 20 + years in the Residential Construction business. He served as Superintendent for several large residential builders before beginning his career in refinishing in 2007. He has helped customers update their kitchens and baths while saving them thousands by Refinishing instead of Replacing. Rodney also remodels kitchens and bathrooms, and has an extensive line of safety products for converting those rooms into handicap accessible areas. By putting customers first, he has become known as the Triangle’s #1 Refinisher. We’ve been designing & remodeling kitchens for over 27 years. Upgrading your kitchen is one of the best ways to increase the resale value of your home. Moreover, it will also make you feel like you’re in a new home. 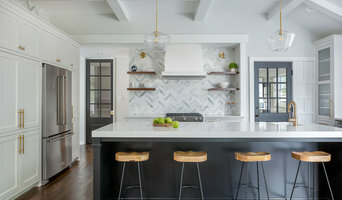 It’s the easiest way to make an older home feel new… We provide all of our customers with personalized service; working with you to design your kitchen layout, choosing the type/color of cabinets, fixtures, counter tops, etc… Attention to detail is our passion and we have the experience to know what to look for.